Ponytail – The ponytail can be worn in many different ways and in different occasions, right from when you are in the gym to a red carpet event. This hairstyle is great as it removes all the hair off your face and can hide problems such as if your hair is starting to go oily. Let’s face it, most of us carry a hairband around our wrists, so this look can even be completed anytime, anywhere. Wear a high ponytail to attain confidence as in today’s era a low ponytail is considered little conservative. 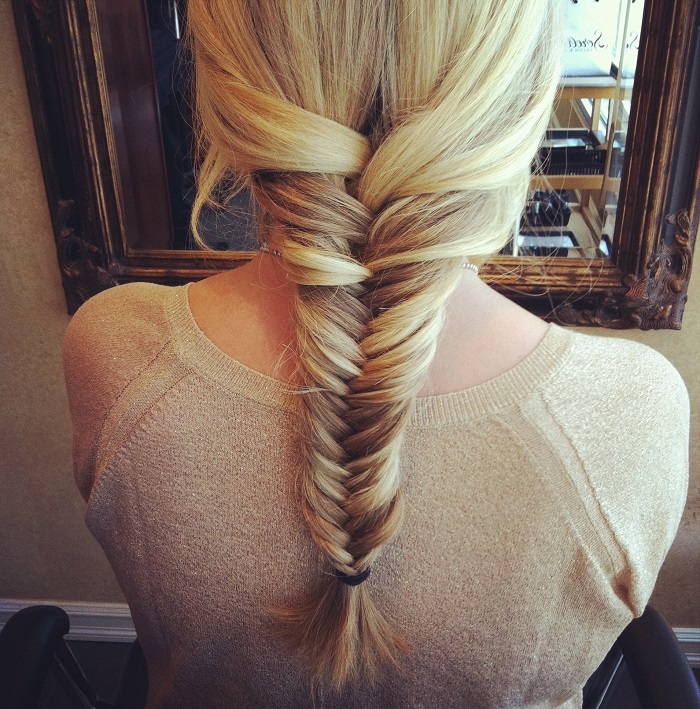 Fish tail braid -This look is probably one of the hardest to master. However, when you know the technique it looks amazing, even like you have spent ages getting ready, when in fact you’ve only spent at most five minutes. Even, the hairstyle is great for a meeting, it is quite impressing by your level of effort and the actual amount of time you spent. Anyone who has good practice of braiding hair in this style, it’s a matter of just 5 mints to set hair gorgeously. Half Up, Half Down –If you love having your hair down yet want it off your face, then this look is probably must for you! It is very versatile and can suit both curly and straight hair. You will personally love the style as it can be transformed from day to night. For example, if you work till late and then want to go out, all you need to do is touch up your make up and have a change of clothes. Bow – A bow is really timeless and one can opt for this while getting late. It can transform a boring unfinished hairstyle into a really adorable and neat one. The only real decision that you have to make is whether to wear a bow headband or clip. Doing a simple hairstyle can really cut down the amount of time you generally take to get ready, leaving you with more time to prepare yourself in other ways. Messy Bun – This is the perfect hairstyle that you can do when in a rush. The best part of it is that it looks much messier than it is! All you have to do is tease your hair and then put a hairband; you may need to apply pins to set some of the fly-away down, but other than this, the look is complete. This is the best and easiest of the easy hairstyles to make when you’re in a hurry.